Thursday - Sunday 10:30pm - 4:30am. 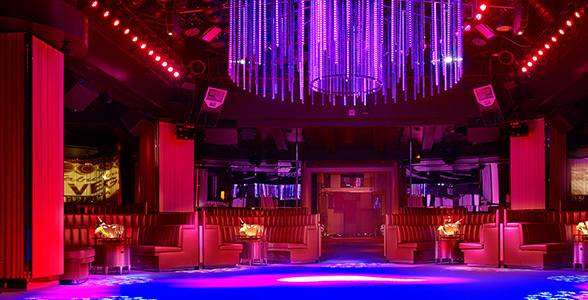 The new Intrigue nightclub at the Wynn Las Vegas is the city’s latest nightlife concept. The idea for the venue was first announced in late 2015 during Tryst Nightclub’s “Final Affair” industry party. Intrigue took over the space that formally held Tryst on April 28, 2016, which also happens to be Wynn Las Vegas’ 11th anniversary. The massive club features state-of-the-art sound and lighting designed by the award-winning professionals at John Lyons Systems. The 14,000 square-foot space is also home to a second 1,200 square-foot private club located within the larger club. This private club is an exclusive social media free zone, allowing guests to enjoy complete privacy. Intrigue nightclub has quickly become one of Las Vegas’ hottest nightlife destinations. After a successful 10 year run, Tryst closed its doors in 2015 and in its place Intrigue has created a whole new nightlife concept. While the nightclub scene in Las Vegas is currently all about the DJs, Intrigue brings something a little different to the table. With its advanced audio equipment, the nightclub plays mostly contemporary party music over various genres. The music, coupled with the lighting and overall environment, offers party-goers a high-energy dance environment. The views are out of this world too. Just take a step onto Intrigue’s outdoor patio and see the venue’s dramatic waterfall, as well as their spectacular pyrotechnics show. 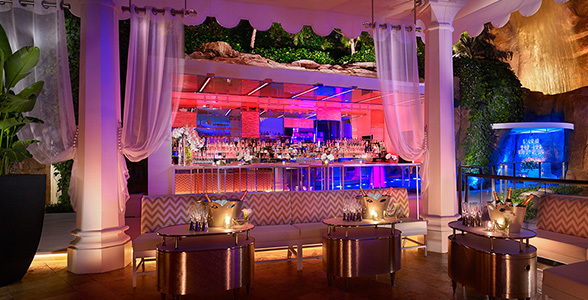 Like most Las Vegas clubs, Intrigue mostly caters to the weekend party crowd. Hours are 10:30 PM to 4:00 AM Friday through Monday. Cover charges for women are just $25, while men pay a cover of $45. The nightclub is conveniently located just to the right of the main valet entrance at Wynn Las Vegas. If you’re having trouble finding it, just follow one of many signs located throughout the casino. When you get to the club, you’ll have the option of finding your host if you’ve reserved table service. Everyone else just visiting the club without a table will need to go through security. The dress code at Intrigue is similar to what you’d expect at any of Las Vegas’ major nightclubs. The goal is to dress to impress, as Intrigue is one of the nicer nightclubs on the Strip. This means no baseball hats, no baggy clothes, and no flip flops. If you’re going to Intrigue, you’ll likely be making several stops to the bar during the evening. At Intrigue, beers are $8, shots are $10, and mixed drinks start at $14. 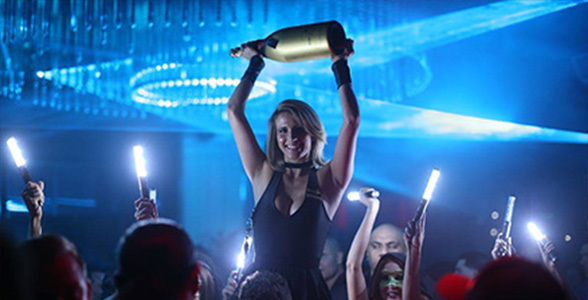 If you’re looking to live the life of a true VIP for a night, you’ll want to reserve a table with bottle service. Bottles typically start at $475 and minimums depend on how many people are in your party and availability. If you do decide to splurge on table service, you’ll want to consider your location. While almost all areas in Intrigue are prime real estate, you may want to choose your table location based on your level of engagement. If you want to remain near the high-energy dance floor, opt for a dancefloor table that keeps you up close to the action. The other tables in the venue are further away from the main action, allowing you more space to roam around without the crowds. If desired, you also have the option of getting a table outdoors near the fountain. If the weather is nice, an outdoors table allows you and your guests plenty of room, as well as a great view of the beautiful fountains. Intrigue is expected to become one of Las Vegas’ biggest and best nightlife spots. Come and experience the up-and-coming nightclub for yourself. 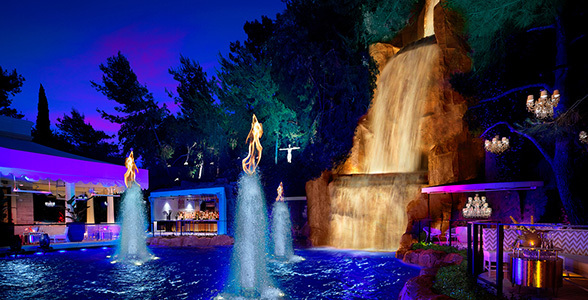 Wynn Las Vegas has confirmed that a new nightclub is set to replace Tryst Nightclub, after more than a decade. 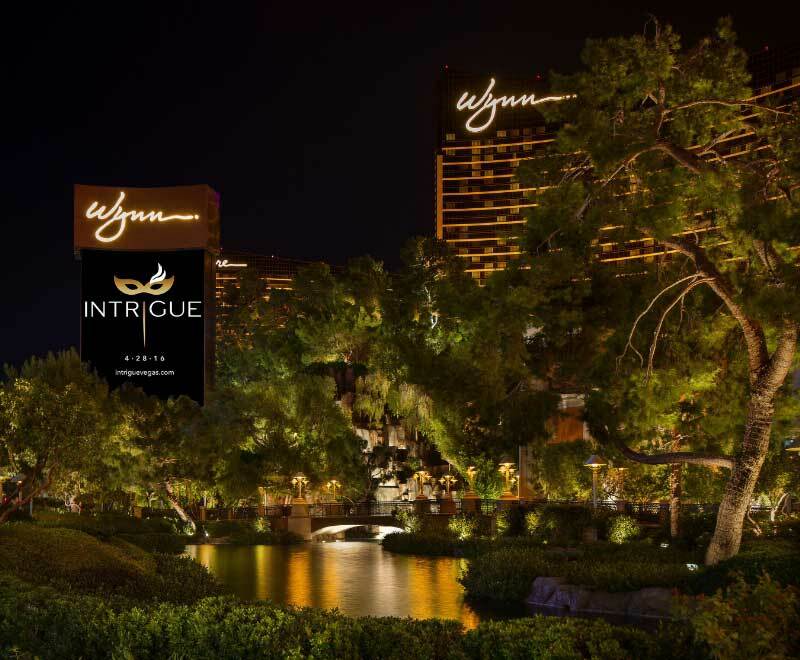 Wynn Resorts Holdings LLC has filed the trademark name "Intrigue", which is set to include a nightclub, restaurant, cocktail lounge, and bar. The 14,000 square foot club is currently undergoing a fresh revamping that includes new lighting, premium sound system from John Lyons Systems, a 1,200 square foot private space inside the club where social media is forbidden, and a new enclosed glass patio. The venue will play contemporary party music that crosses over to various genres, but will primarily consist of of-the-moment hits. The newest Las Vegas nightclub will have a different feel and sound than other nightclub venues at Encore and Wynn. The goal of the club designers was to create something new and different, including fresh acts and musical talents that are unique to the area. The no social media space inside the club is another detail that differs Intrigue from other Vegas clubs. While there’s no denying that social media is critical in promoting Las Vegas nightclubs, having a no social media space inside the club is an excellent way to make more VIP guests feel safe and secure, whether it’s a CEO or a well-known celebrity. This space can be entered from a back hallway so that VIP guests don’t have to go through the main entrance to get there. Intrigue Nightclub is set to open on April 28, 2016, and will feature an upscale feel with red velvet features, a spacious dance floor that opens to a pool, and a dramatic waterfall. From the state-of-the-art lighting to the award-winning sound system, It is certain to be the ultimate party space for high-energy dancing and fun socializing. Don’t miss out on a chance to experience the newest Las Vegas club for yourself.